Both the countries have strengthened their defense relation by signing different agreements. 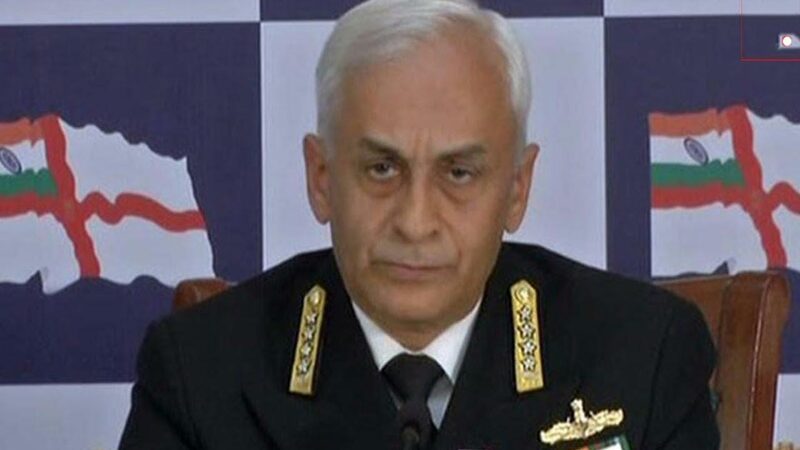 Indian Navy Chief Admiral Sunil Lanba will begin his five-day visit to the US on Monday. The visit aims to consolidate cooperation between the Armed Forces of both India and the US and also to explore new avenues of defense cooperation, according to a press release issued by the Ministry of Defense. During his visit, Lanba will hold discussions with Defense Secretary James Mattis, Secretary of the US Navy Richard V Spencer, Chairman of Joint Chiefs of Staff General Joseph F Dunford Jr, and Chief of Naval Operations Admiral John M Richardson. Indian Navy chief will also meet Commander of Pacific Command Admiral Harry Harris, Admiral Scott Swift, Commander, Pacific Fleet and Vice Admiral Thomas J Moore, Commander, Naval Sea Systems Command. In addition to holding important bilateral discussions, the Admiral will be visiting the Pacific Command Headquarters at Pearl Harbor, Hawaii, the Naval Surface Warfare Centre (NSWC) Dahlgren, the Pentagon and Arlington National Cemetery in Washington, DC. Lanba’s visit assumes importance in the wake of strengthening co-operation between the US and India. Washington considers India as a strategic partner in the Indo-Pacific region. The Trump administration is keen on deepening the military co-operation with India to counter the growing Chinese aggression in the region. Chinese presence in the sea routes in the Indo-Pacific region has been a concern of the US in recent years. The US along with India, Australia, and Japan formed the “Quad” (Quadrilateral Security Dialogue) coalition to patrol and exert influence on waterways from the Indian Ocean to the Pacific to the disputed East and South China Seas. In recent years, both the countries have strengthened their defense relation by signing different agreements. In 2015, the US and India signed the Defense Framework Agreement that aims to enhance the defense co-operation between both the nations. The Logistics Exchange Memorandum of Agreement (LEMOA) signed in 2016 aims at promoting interoperability between militaries by creating common standards and systems. The Indian Navy cooperates with the US Navy on many issues, which includes operational interactions such as the MALABAR and RIMPAC series of exercises, training exchanges, exchange of White Shipping Information and Subject Matter Experts in various fields through the medium of Executive Steering Group (ESG) meetings. Warships from both navies have also been regularly visiting each other’s ports.